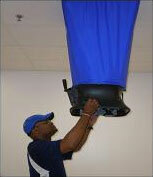 We specialize in Air and Water Balancing for all Commercial Buildings. Including: Hospitals, Schools, Office Buildings, Industrial Plants, and all other Heating, Ventilation and Air Conditioned Structures. We are ready to serve you as well.